This is the first year that I have actually wanted to dress up for Halloween in a long time. 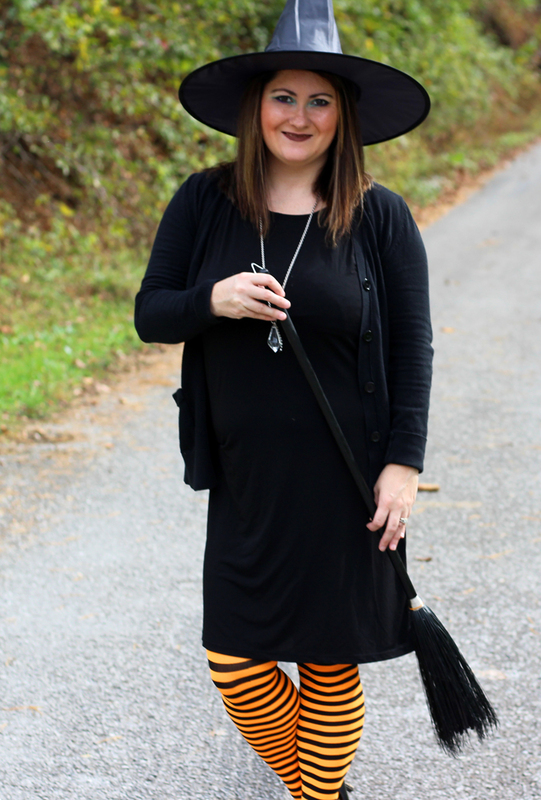 Raylan said he wanted Mommy to be a witch, so that's what I did for his Halloween Party. I will also be a witch when we take him Trick or Treating. I couldn't justify purchasing a costume when it would only be worn just twice this year and then put in the closet and forgotten about. 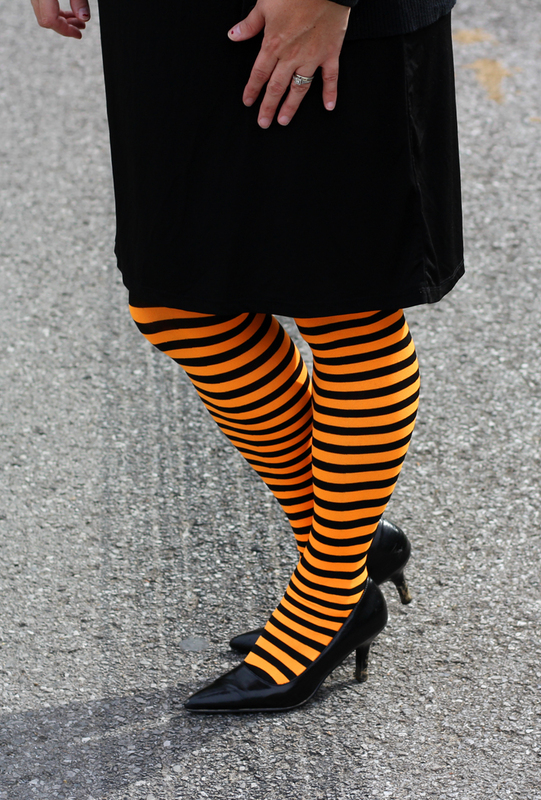 So I searched my wardrobe and came up with this adorable and easy witch costume. Almost everyone has a basic black cardigan and a little black dress, so those were a given for the outfit. The little black dress is one that I wear to church or for everyday wear. However it is sleeveless, so the cardigan had to be worn for the costume as well. I sure don't want to freeze on these cool October nights. The witch hat was a basic $1.98 find at Walmart. I wanted to dress the hat up a bit, but didn't have time for that. 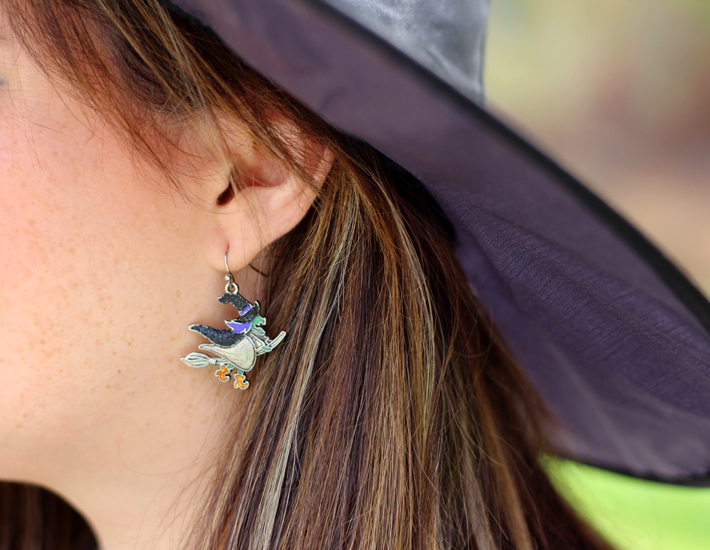 You can also find the witch earrings and Halloween colored tights at Walmart . 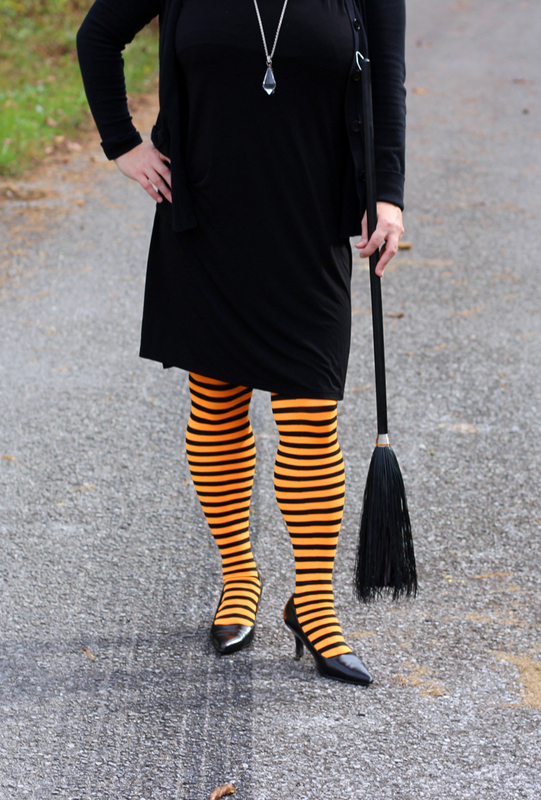 The witch broom was borrowed from a friend, but I saw some at Dollar General for $1. 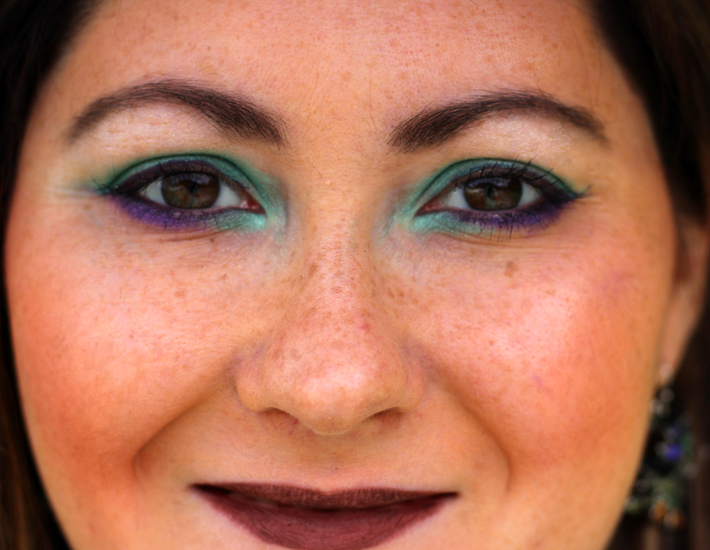 I didn't want to go all drastic and paint my whole face green, so I settled for green and purple eyeshadow and dark lips. 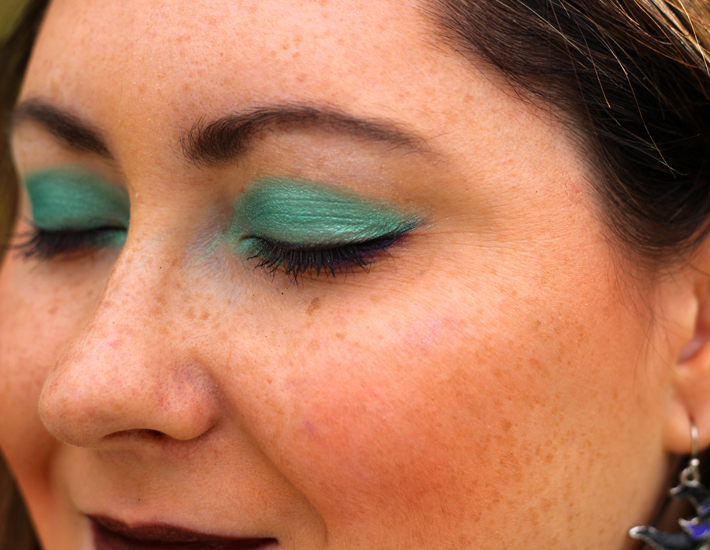 It's the perfect look for a witch, don't you agree? 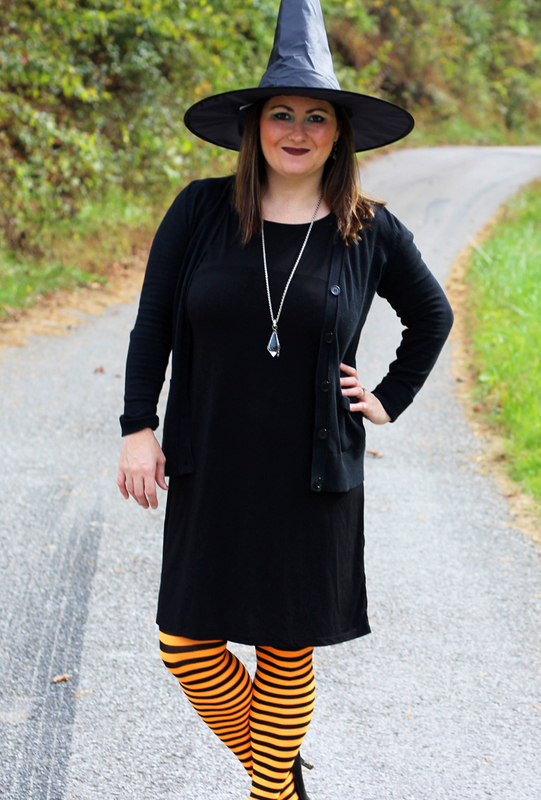 So if you're on a budget or just ran out of time getting a costume, this adorable witch costume will be the perfect costume for you! 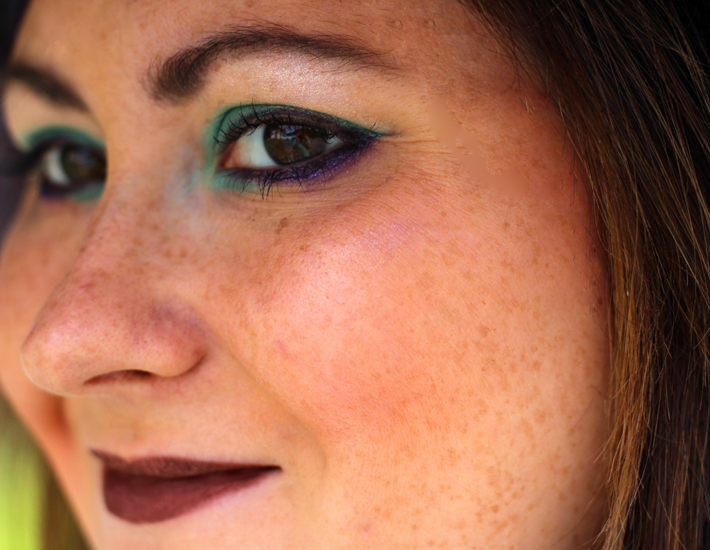 Hopefully this look gives you some inspiration for your witch costume.